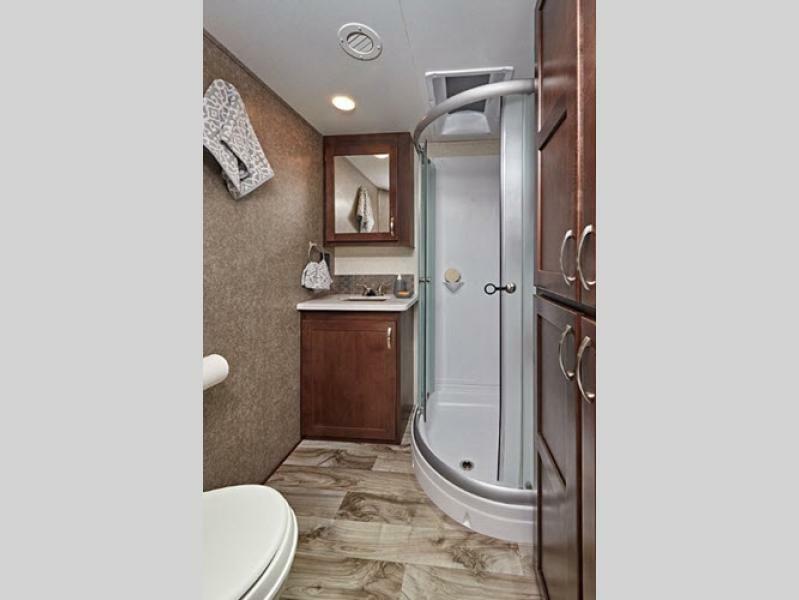 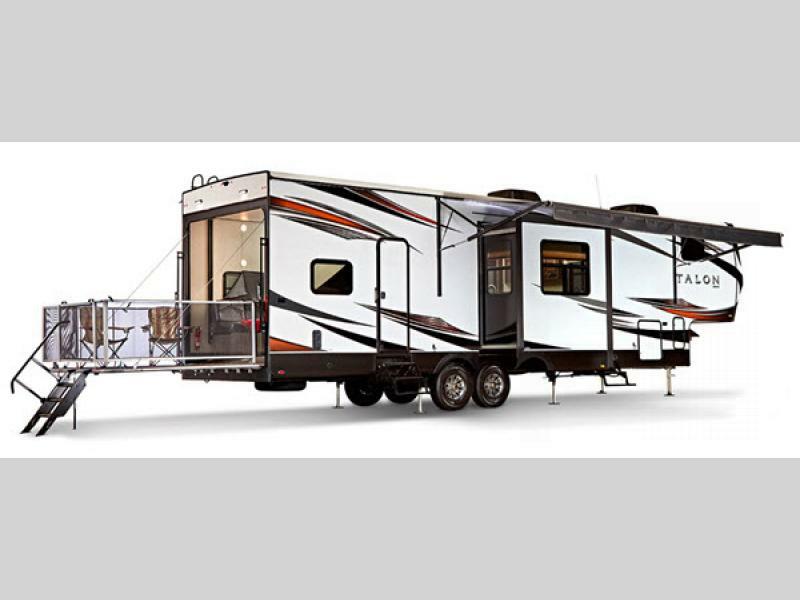 This line of Jayco Talon toy haulers is set apart from all others because of its fresh design and residential comforts. 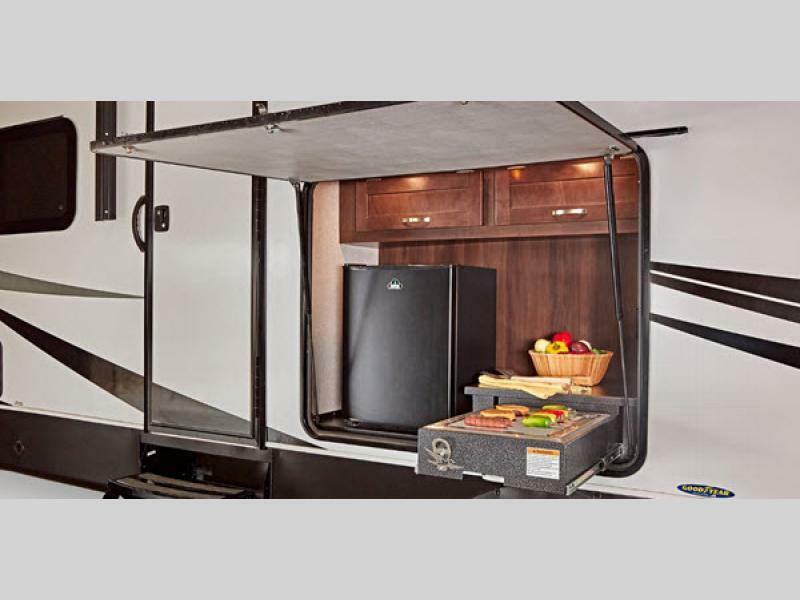 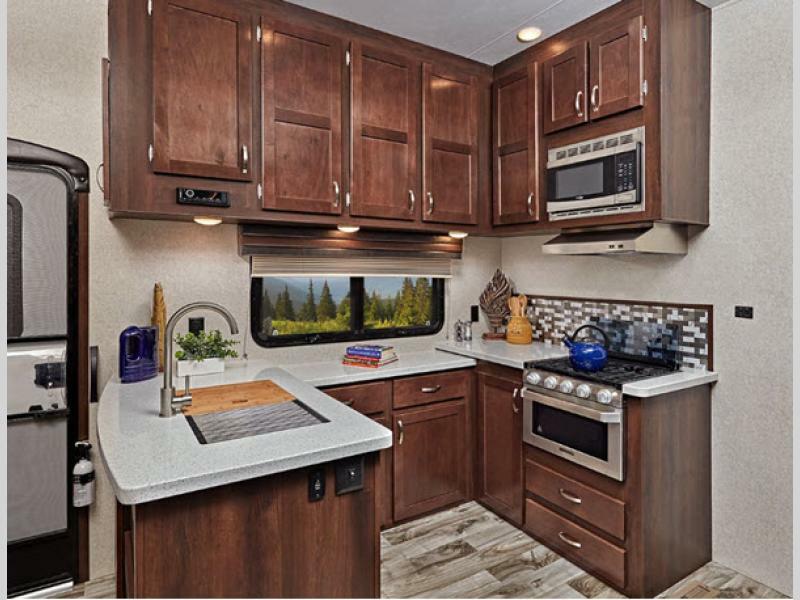 You no longer have to leave your favorite appliances at home while you travel because Jayco has included a 3-burner range top and a 8 cubic foot double-door refrigerator in each kitchen. 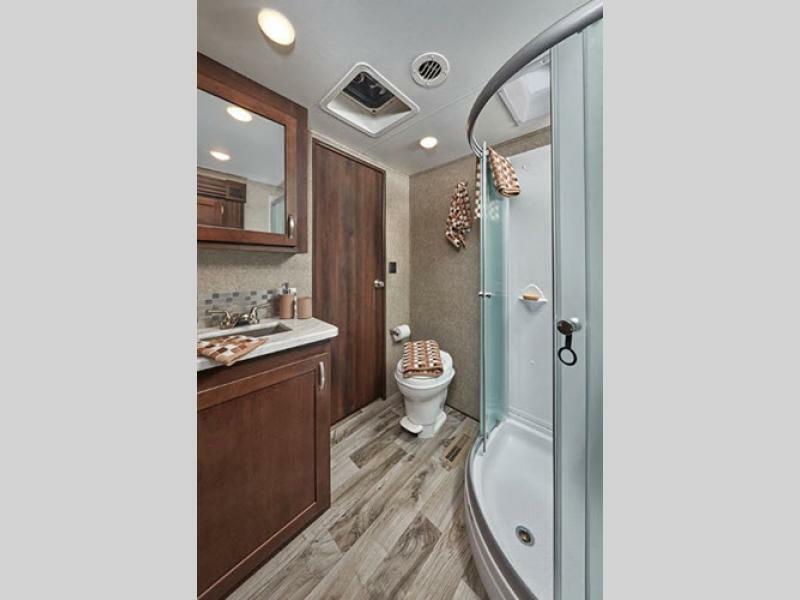 The whole unit is kept bright and fresh with LED lighting throughout and a skylight in the bathroom. 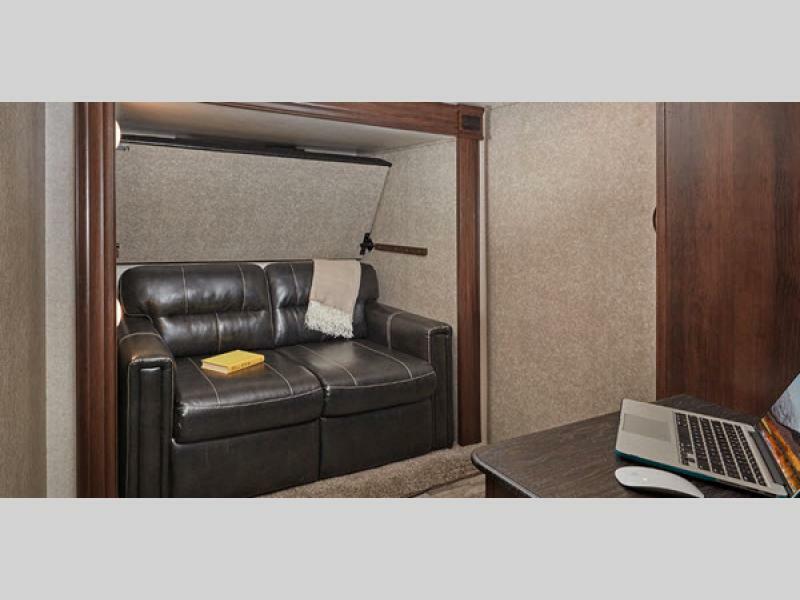 Even the large U-shaped booth dinette is fitted with LED lighting. 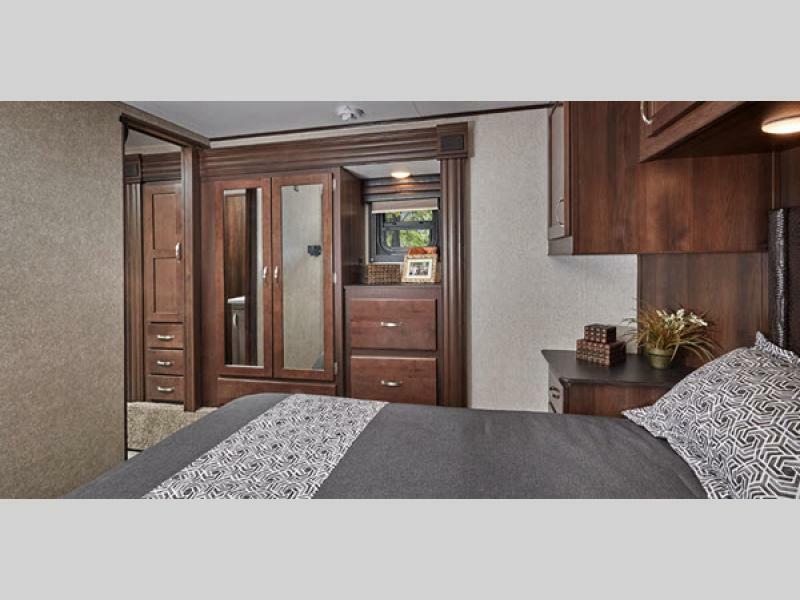 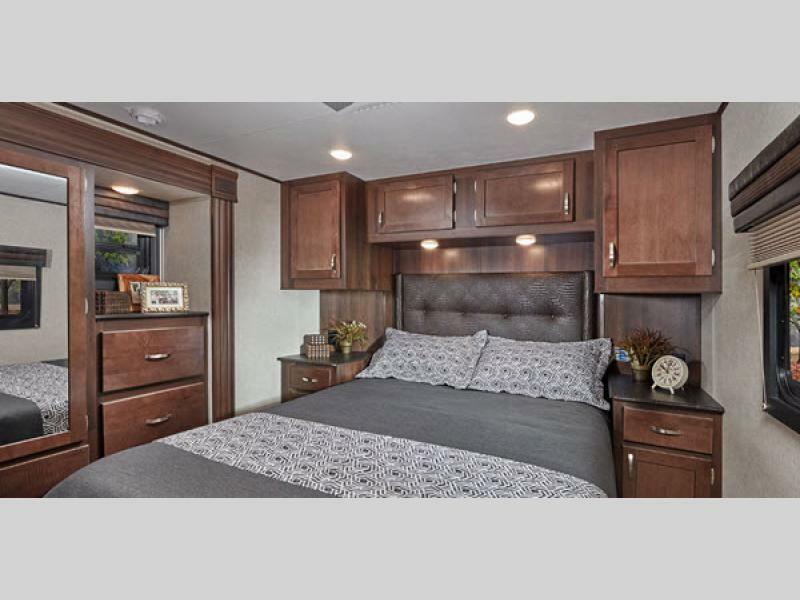 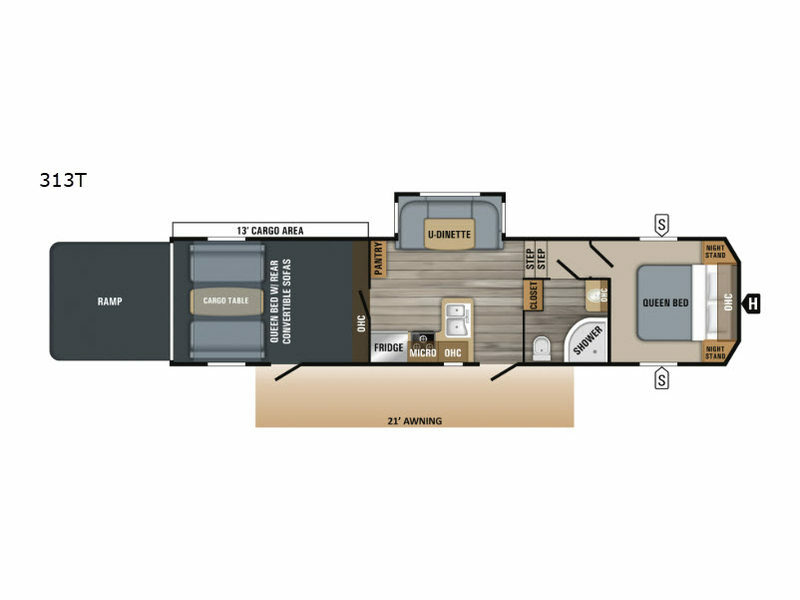 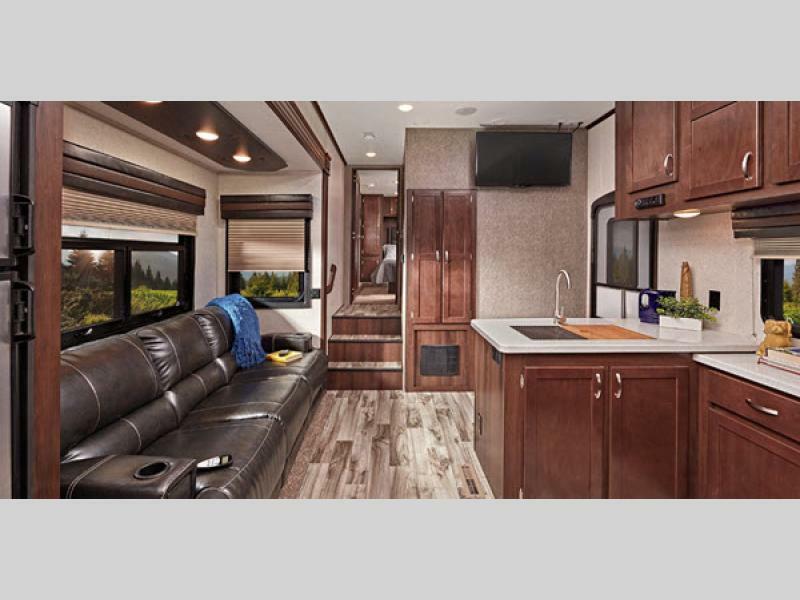 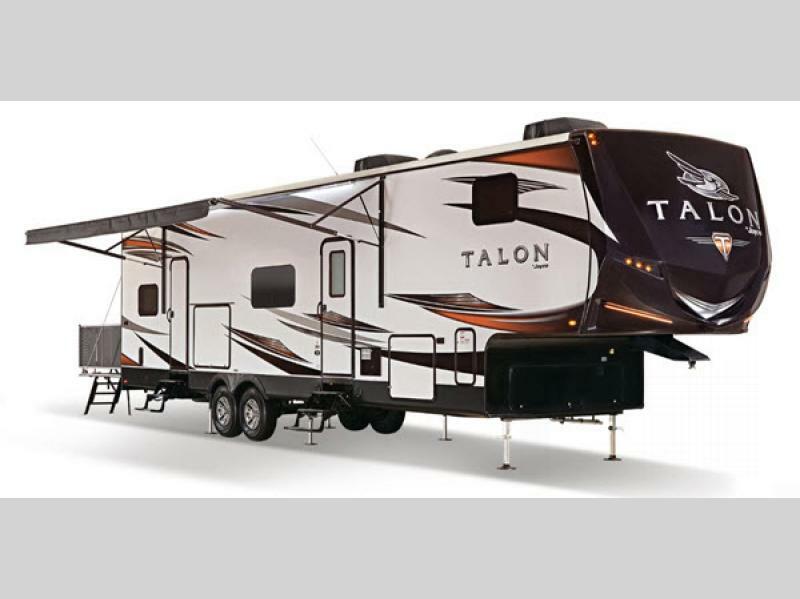 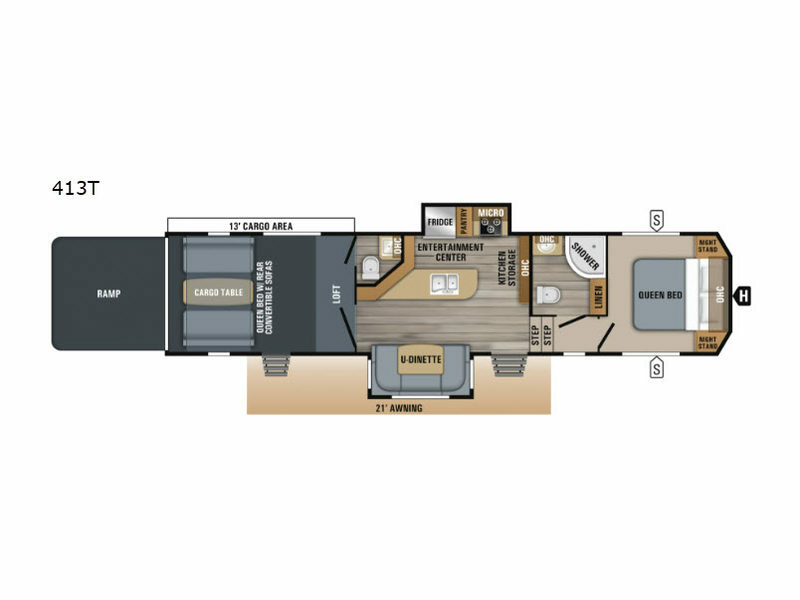 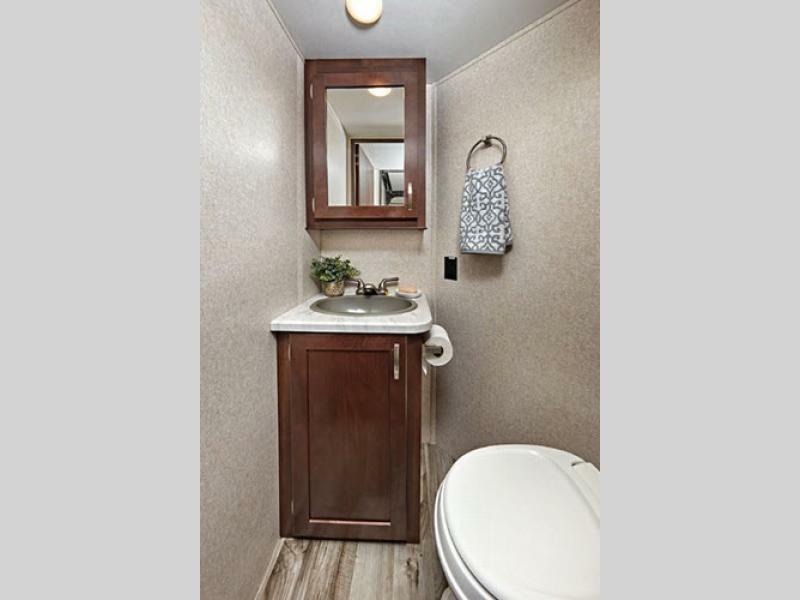 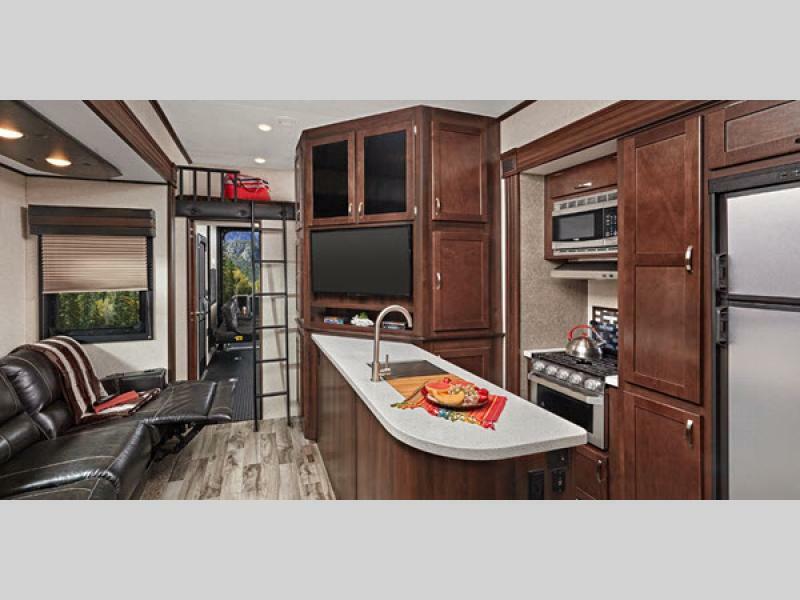 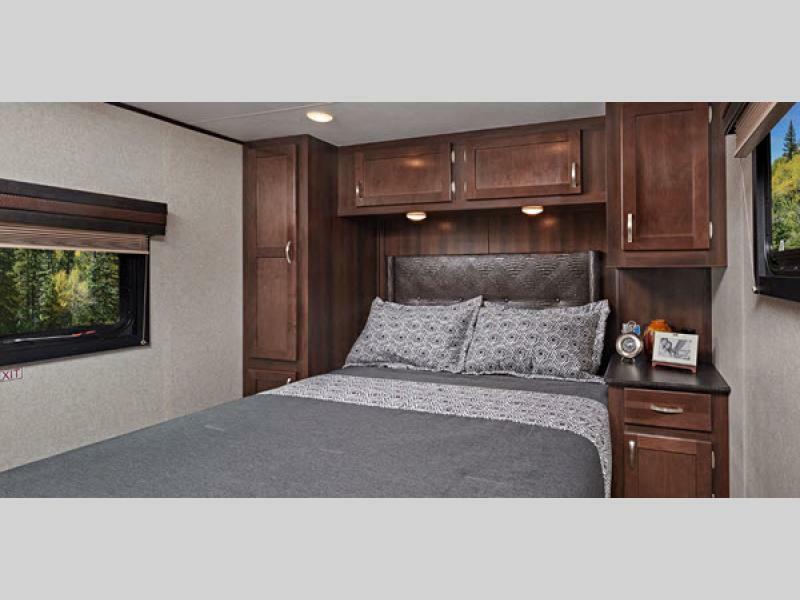 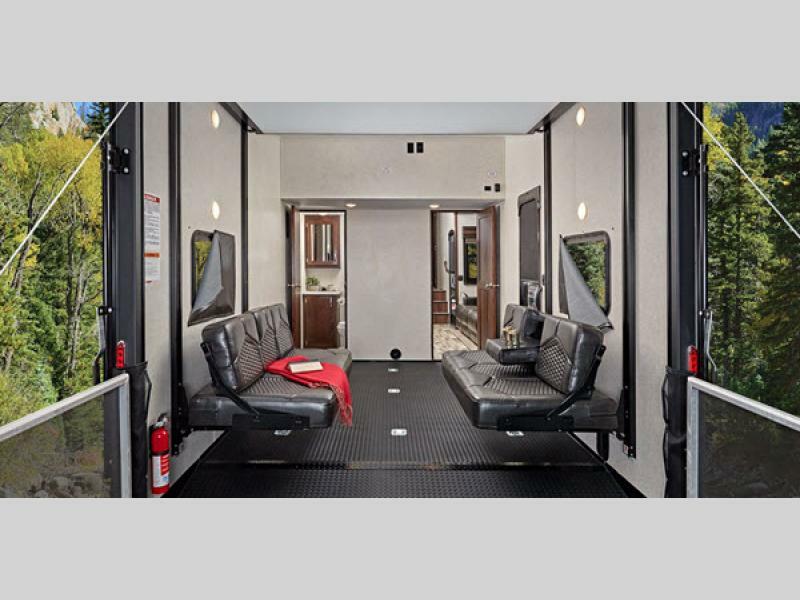 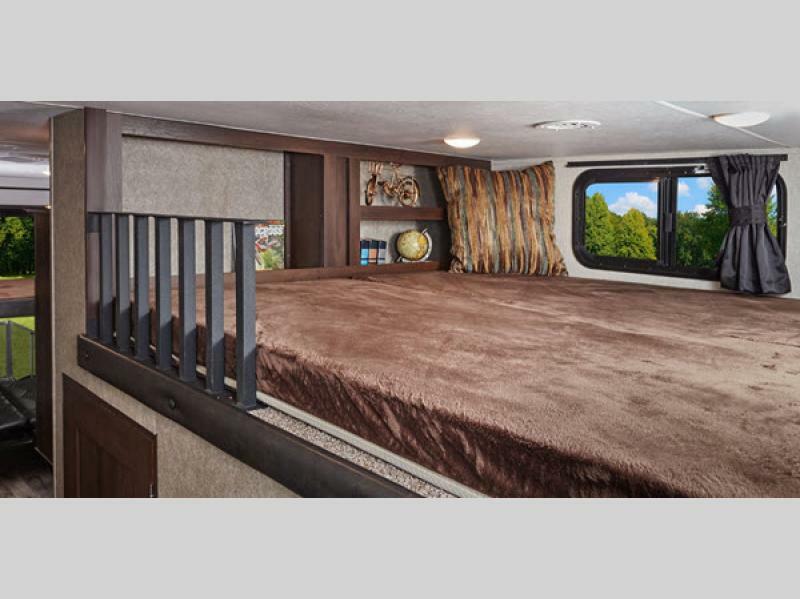 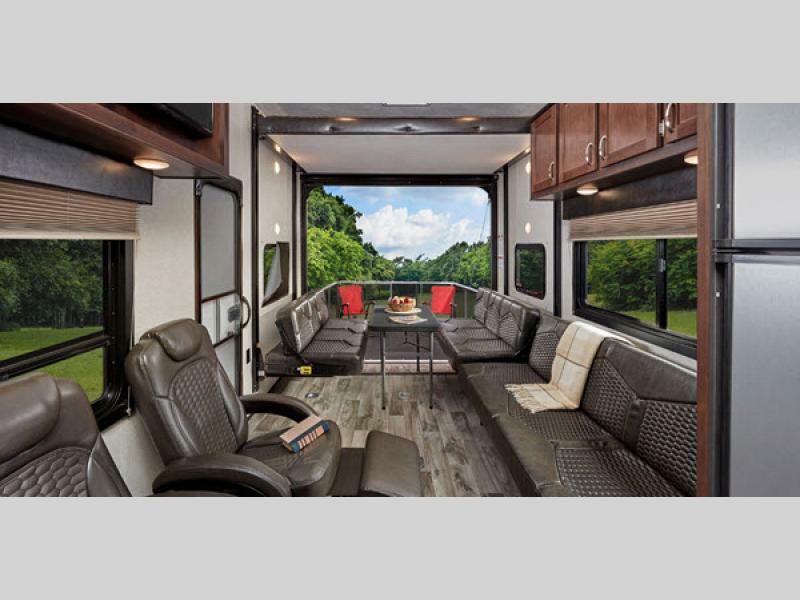 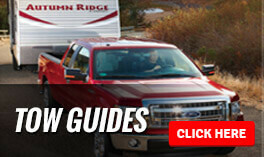 The highlight of these Talon toy haulers is the large garage space included in each model. 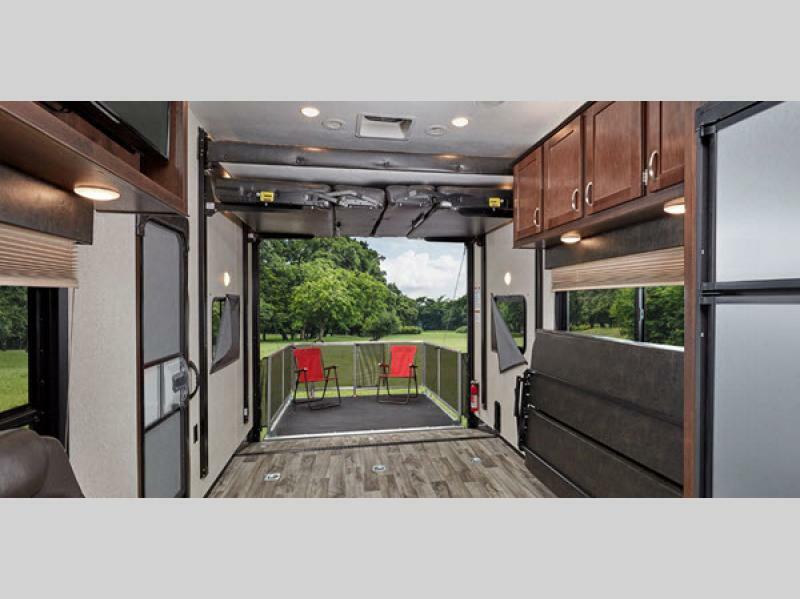 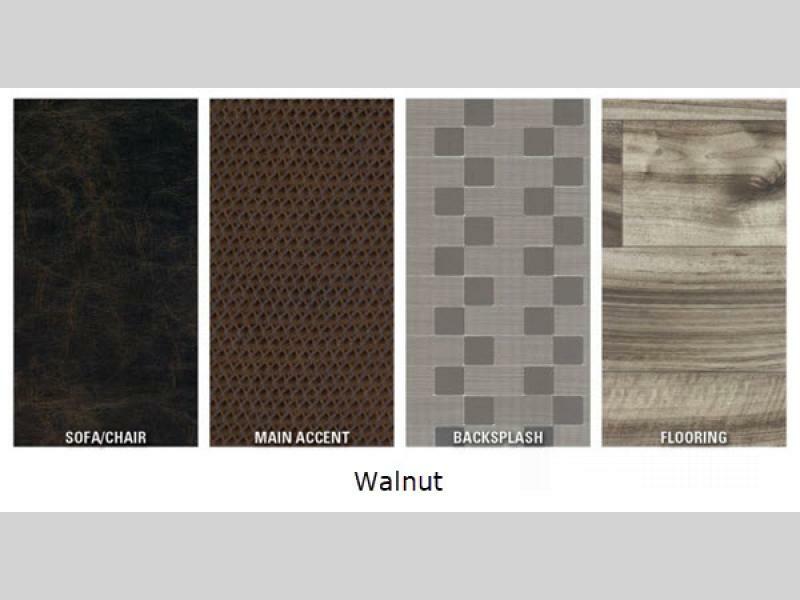 The 2,500 LB capacity of the ramp door means that none of your favorite outdoor accessories will have to be left behind. 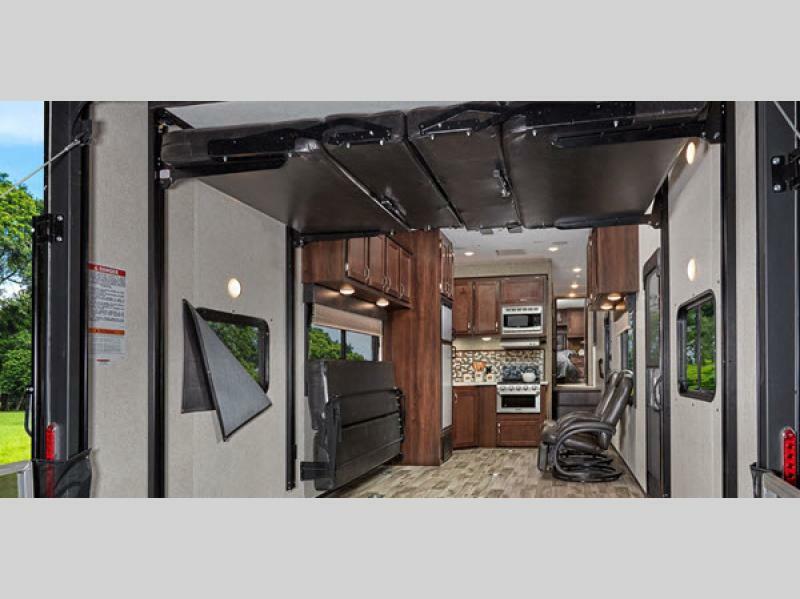 The versatility of this garage area is what gives this unit its greatness because it can transform from a cargo space into a lounge area by simply maneuvering the convertible sofas into place and lowering the ramp door screen. This line of Talon toy haulers by Jayco is active-lifestyle approved which means that owning one of these toy haulers will allow you to seek out adventure anytime!